I haven't had a little spend up in Lush in forever! I was a bit disappointed after last year's Halloween Collection and when they launched Christmas I was peeved about the price increases and didn't buy a single thing! Shocked? Yea I was too. After falling in love with the much raved about Silky Underwear Dusting Powder recently, I went to pick up another bottle and then slipped and fell a little further and bam, walked out with a bag of products. I bought a little bit of everything from a new face mask, some body moisturiser and of course some bath bombs! 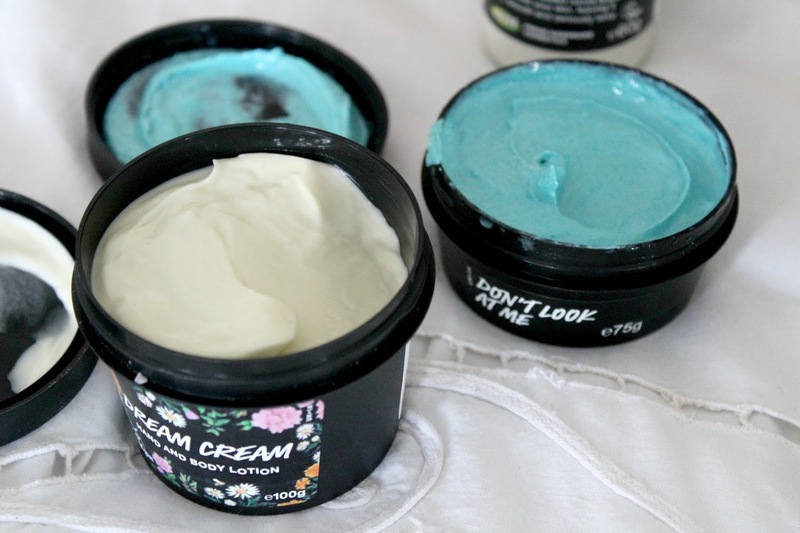 Dream Cream is something I've used a few times before and loved the results, I thought it would be perfect for Arran's dry and eczema prone skin so that's our latest experiment. Dream Skin contains soothing chamomile, extra virgin oil and cocoa butter. It also smells good enough to eat. The Don't Look at Me face mask is the newest edition to the face mask range and one I've been dying to try. It is a scrubby, softening miracle in a pot. The funky blue colour makes it fun to use and the ground rice left my skin so smooth! This is going to be the first pot of many, as both Arran and I noticed a difference in our skins surface almost immediately. Silky Underwear is the one product you need if you're prone to chub rub. Vix Meldrew raved about this stuff when she went to Florida so I went to buy some to see if it actually worked. It contains cocoa butter and has a beautiful jasmine and vetivert fragrance. It keeps the skin super soft and makes such a difference on a hot day when you want to get your legs out. Life saver. Now for bath bombs! As always, I bought Arran an Ickle Baby Bot and myself, Butterball. 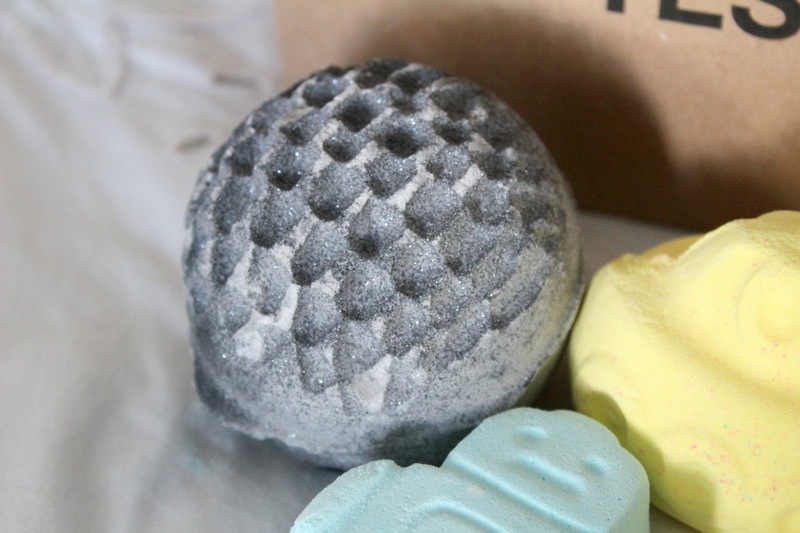 I also bought the two newest bath bombs available! Yellow Submarine is fun in a tub. Just pop it into water to let it fizz and speed around. 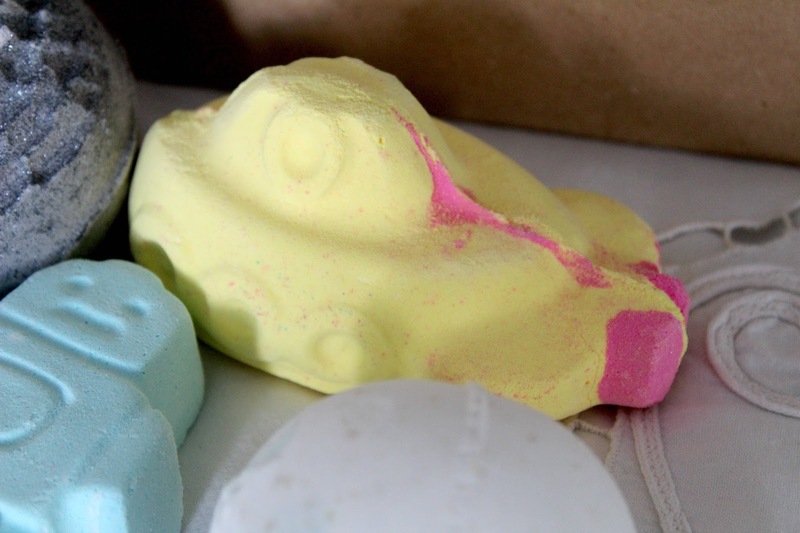 The yellow and pink colours leave a frothy trail with an uplifting scent of coconut, orange and lemon grass. It's great for a pick me up if you've had a tough day. Lastly, I bought Metamorphosis which is a kitchen exclusive that's been rolled out into stores. As soon as I took a whiff, I had to have it. With black pepper, myrrh and warm cinnamon, it's a treat to the senses. It has a subtle glitter finish but having since read numerous reviews saying it had stained their baths and skin, I'm not sure whether to use it or not! 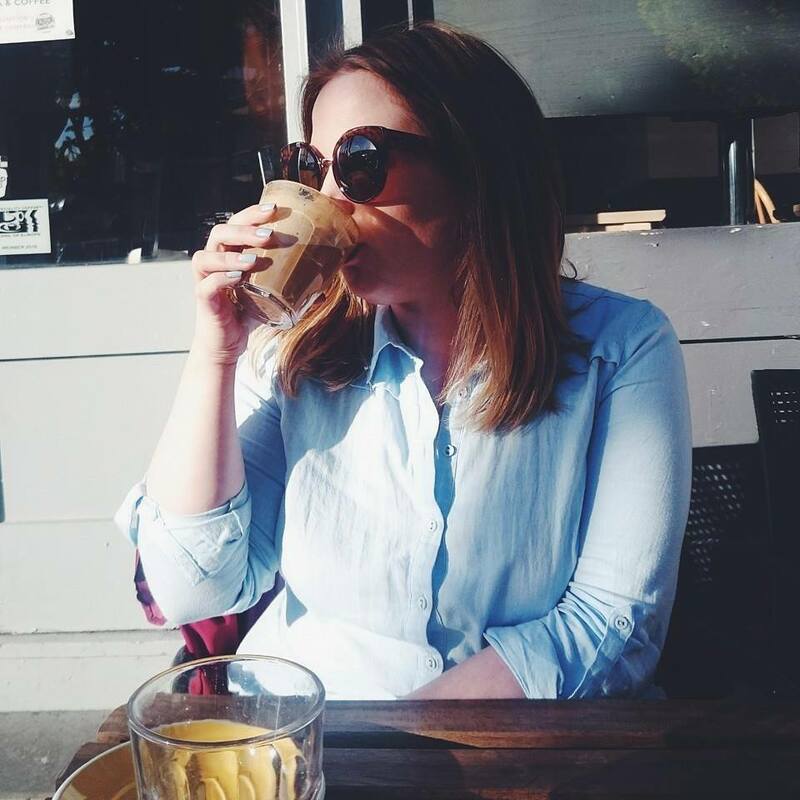 Have you bought anything from Lush recently? What should I put on my list next? I can't wait to try Silky Underwear! Think it will become a staple! 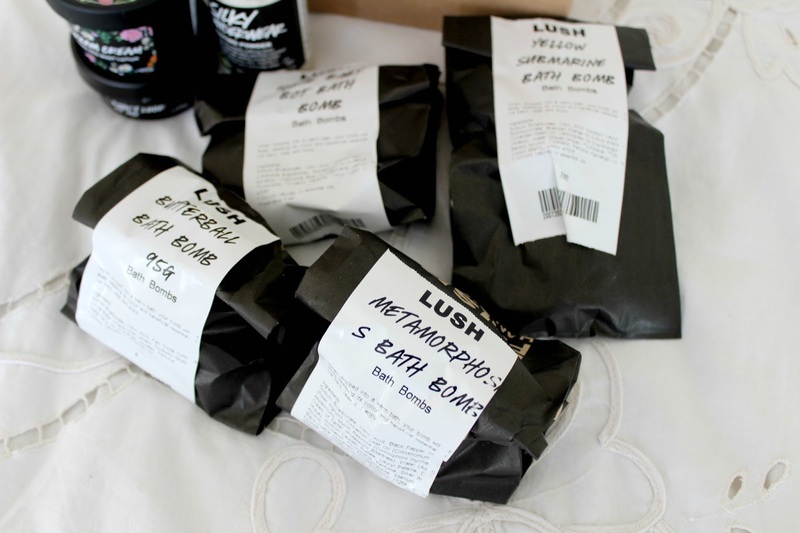 I love lush, I had a spree a while back using some christmas money on bubble bars and I prefer them to the bombs, I haven't tried any of the face products as i like to sniff before i buy and our local Lush is a few towns away! Definitely need to get someone to take me now!! I tried to get some of the chub rub powder but they had none in stock and walked away with a sample pot instead - loved it! !